Since the Sensation brand first came to life in the Amsterdam Arena on 1 July 2000, over two million people across 30 countries have danced, celebrated, and experienced possibly one of the most widely revered events in the world. Fast forward to the present day and the Sensation name is still at the forefront of the dance music scene, bigger and stronger than ever, and now celebrating its 15th anniversary. To mark the occasion, ‘Sensation 2015: The Legacy’ is releasing an official compilation album giving the listener a slice of what makes the brand so popular. The compilation features a wealth of tracks from previous Sensation performers Nicky Romero, Fedde le Grande, Laidback Luke, Sander van Doorn, Zeds Dead and Oliver Heldens, to name but a few. 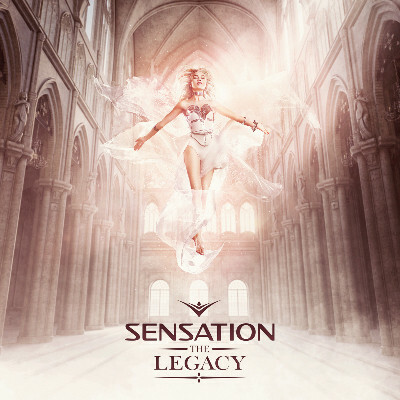 The Legacy is a journey through the massive main-room anthems that get Sensation events jumping, and it’s also apparently packed with plenty of brand new exclusives. It’s a recipe that should bode well for the actual Sensation: The Legacy event, due to take place in Amsterdam ArenA on 4 July. The apparent philosophy behind the Sensation brand is simple - to use the positive power of music and dance as a universal language. ‘Sensation 2015: The Legacy’ is the epitome of that mantra, and aims to unite dance music fans around the world. It’s out 3 July, check it out below.